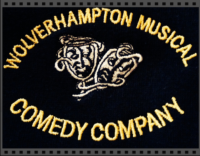 Established in 1938, Wolverhampton Musical Comedy Company is a young, vibrant and exciting theatre company full of local, home grown talent. Over the past decade, MUSCOM has performed award winning musicals on the Grand Theatre stage such as GREASE, FOOTLOOSE, HIGH SCHOOL MUSICAL COPACABANA, WEST SIDE STORY, SWEET CHARITY and HALF A SIXPENCE. MUSCOM is extremely proud to be the first amateur company in the UK to perform LEGALLY BLONDE, which will be coming to the Grand Theatre, Wolverhampton in March 2015. To be part of MUSCOM just get in touch - we are always looking for new members to be part of the company, both on and off stage! Whether it is helping backstage, performing on stage or working front of house we are always looking for new members. Please do not turn up to rehearsals as the time is very limited. Get in touch with MUSCOM via email or telephone and we will advise you of a good time to come along and see us in action!